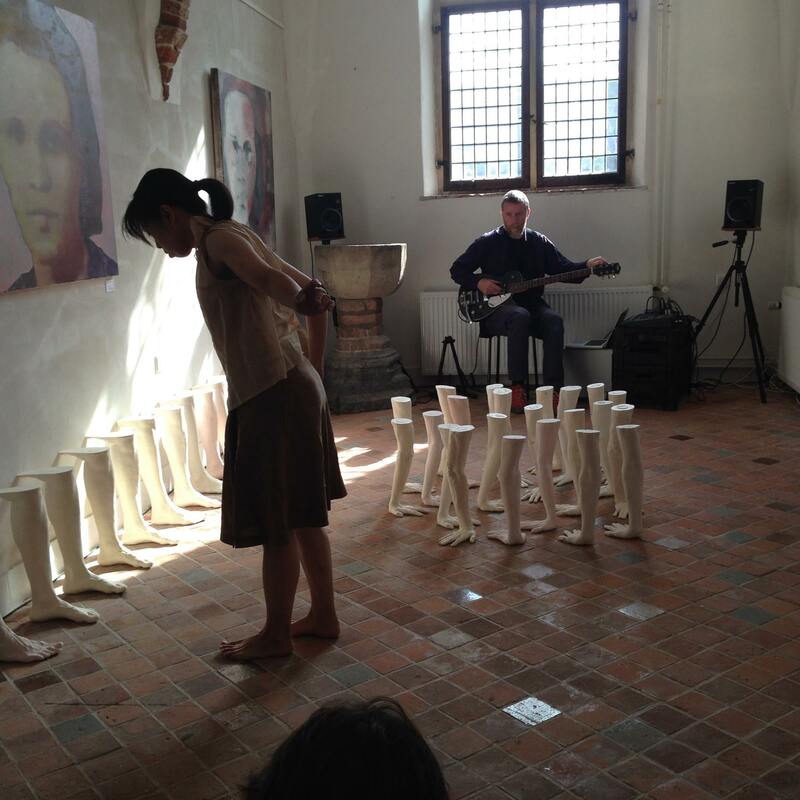 Earth Murmur’ is a performance that took place in the Elizabeth Weeshuis Museum/bibliotheek on 27 September 2014. Paul Glazier and Sato Endo improvised around Anne Verhoijsen’s installation ‘On Hands and Feet’, Paul Glazier on baritone guitar, Sato Endo with movement. 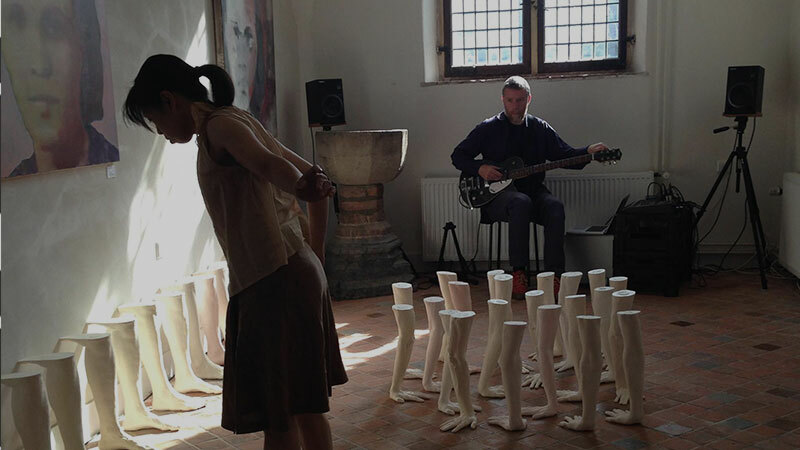 Sato Endo lives and works in Rotterdam and is a performance maker and dancer. She teaches improvisation and body consciousness in Tokyo and Rotterdam. Paul Glazier make a beautiful movie about this event.